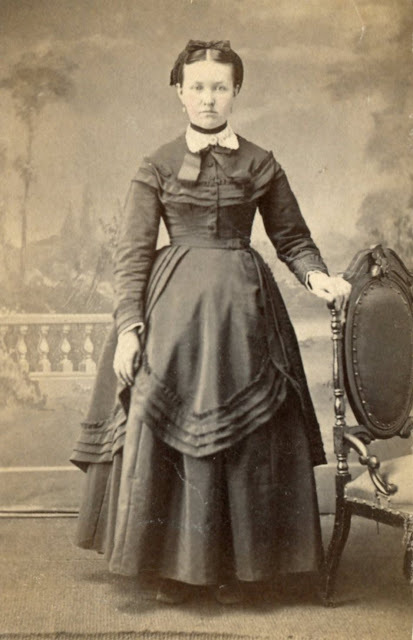 I'm not sure if she is related to my previous postings of post civil war hoop dress ladies CDVs, but the background and the photographer are the same. Although she is standing intead of sitting, she has the same facial expression as the other three ladies. I bought the previous 3 CDVs together, but this one I spotted months later at Ebay. Since then I always look for similar images, but it never happened again. These are all wonderful photos, but are the other young ladies also from Isaac Lachman's studio? This chair is different, though the floor rug and backdrop are similar. 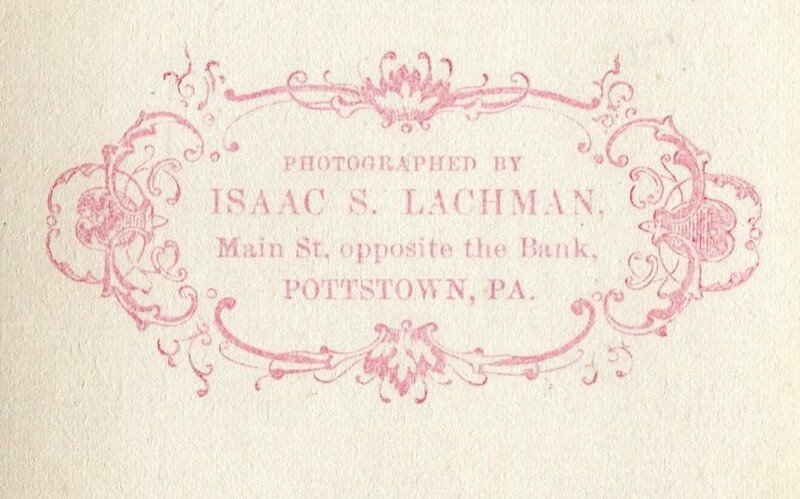 I found Mr. Lachman in Ancestry.com records, born 1835, and he is listed as a photographer from at least 1862 in the tax records, from 1870 to 1900 in the census. My interest is because I have a cdv from Pottstown too. I've recently been reading a history of whaling, and it is very disconcerting to think that women of this time are encircled by a whale's baleen. It was a very profitable industry, despite the danger and hardship (not to mention slaughter) based entirely on women's fashion. Thank you for the extra information! 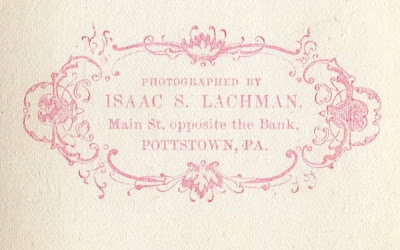 All four have exactly the same backside with the emblem of Isaac Lachman. I didn't know there were whale bones involved in hoop skirts. The main purpose of the whale hunting was oil and meat, so hopefully the bones were just a usable byproduct. Otherwise it would be very disconcerting indeed when somebody walks around in such a dress. I like this one too, Rob, but not as much as the others. Curiously, one of my college roommates was from Pottstown. She looks very solemn, but I think you’re right; they certainly do resemble each other.